Stay connected with your family and friends back home with unlimited 4G data per day! Make sure you always have internet access in China with a portable WiFi router that will work anywhere in the country. Keep up to 5 of your mobile devices online at once by connecting to China Mobile’s 4G network. You can enjoy 4G LTE speeds for up to 500MB per day, and then unlimited 2G speeds afterwards, more than enough for messaging, maps, and general internet surfing. 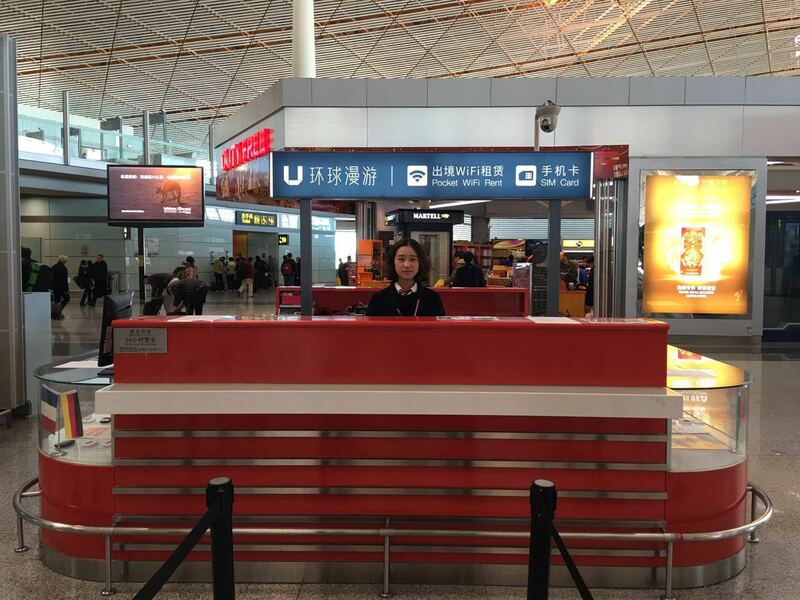 You can pick up your portable WiFi egg right after landing at Beijing Capital Airport. Simply show your voucher at the counter, complete the registration process by taking a picture with your passport and WiFi device, and pay the security deposit. 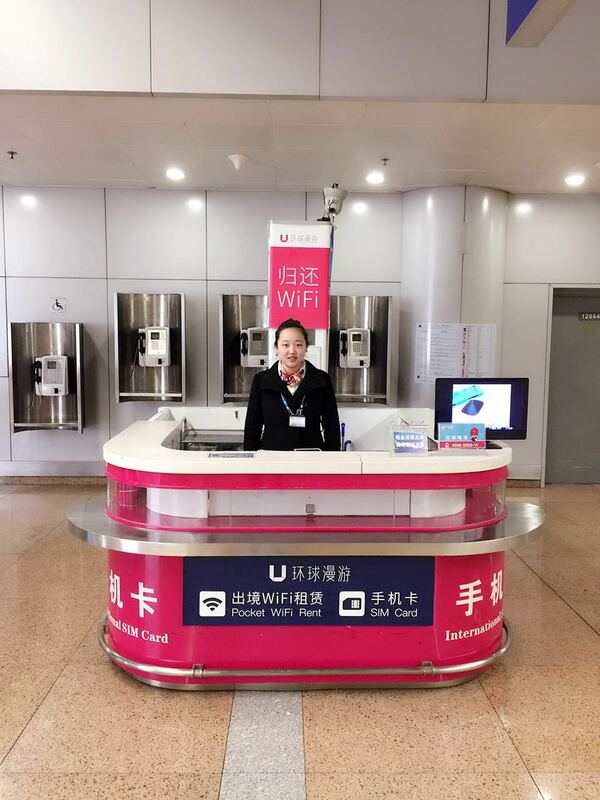 After that, you’ll be able to connect to the internet anywhere you travel within Mainland China. 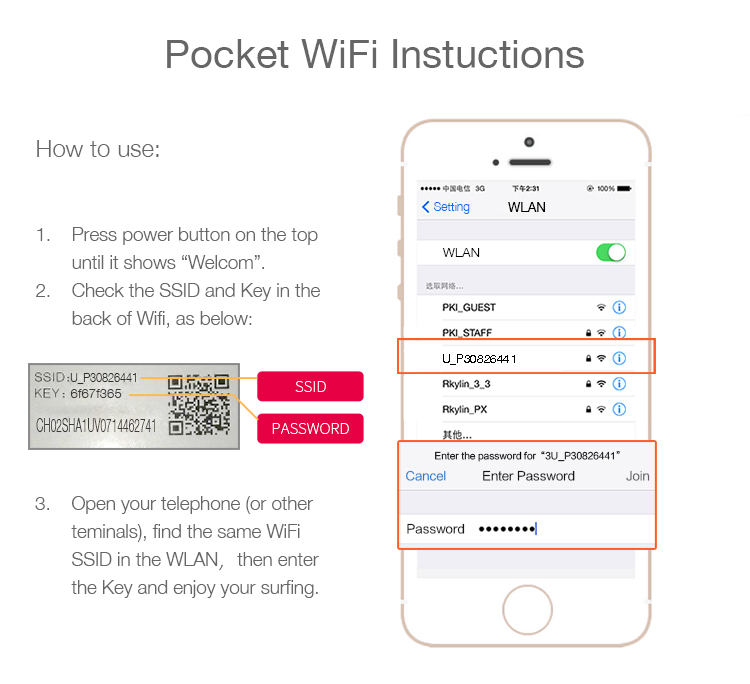 When you are ready to go home, simply return the device at the airport before checking in for your flight. Make sure you don’t return the device late or you will forfeit your deposit! 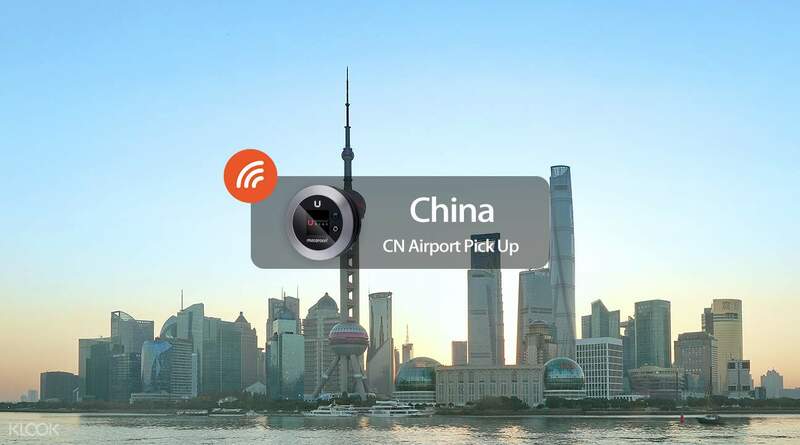 Stay connected across your travels in China with a 4G pocket WiFi egg with easy pickup at PEK airport! 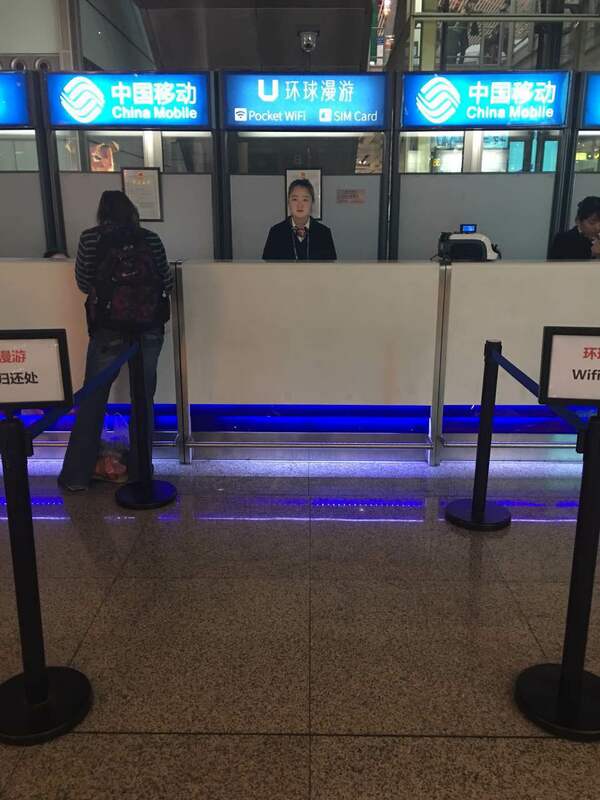 Travel Date: December 12-14, 2018 (device booked for 3 days) Pick-up: Beijing airport (T2) - near luggage pick-up at belt 6 Return: Beijing airport (T2) - beside Tax Refund counter (after baggage check-in, immigration, and security check) With an average rating of I think 3.5 (or was it 3.8? I'm certain it was less than 4.) at the time of booking, I was really hesitant in getting this. I actually booked the device just the day before my travel date since there were a lot of negative comments. But I'm so glad I did! I read through all of 2018's and 2017's reviews. Klook seemed to address most, if not all, of the concerns raised to them. Pick-up at around 1AM was a breeze. I handed my Klook voucher printout and my credit card for the CNY500 deposit. She then handed me the device and a piece of paper with transactions how to return it. The whole transaction lasted no more than 5 minutes. Returning it though was a bit challenging since I thought "Security Check" meant the 'Explosives Check' before proceeding to the Departure Hall. Speed and battery were okay - I was able to use Google Maps, Facebook, Instagram, etc. (ensure you register for VPN before heading to China) with no problem at all. Connection got slower by the end of the day so I'm assuming we had already used up the 500mb allowance for the day. Good thing our hotel had free WiFi so we just switched connection come night time. The CNY500 deposit via credit card was cancelled upon return. And I got a 'receipt' (credit card transaction printout) for it. Overall, this was a good decision for us since we had a DIY trip and had to use Google Maps all the time for all the walking we had to do. Thank you, Klook! I appreciate the efforts you made to address the concerns from previous reviews. Travel Date: December 12-14, 2018 (device booked for 3 days) Pick-up: Beijing airport (T2) - near luggage pick-up at belt 6 Return: Beijing airport (T2) - beside Tax Refund counter (after baggage check-in, immigration, and security check) With an average rating of I think 3.5 (or was it 3.8? I'm certain it was less than 4.) at the time of booking, I was really hesitant in getting this. I actually booked the device just the day before my travel date since there were a lot of negative comments. But I'm so glad I did! I read through all of 2018's and 2017's reviews. Klook seemed to address most, if not all, of the concerns raised to them. Pick-up at around 1AM was a breeze. I handed my Klook voucher printout and my credit card for the CNY500 deposit. She then handed me the device and a piece of paper with transactions how to return it. The whole transaction lasted no more than 5 minutes. Returning it though was a bit challenging since I thought "Security Check" meant the 'Explosives Check' before proceeding to the Departure Hall. Speed and battery were okay - I was able to use Google Maps, Facebook, Instagram, etc. (ensure you register for VPN before heading to China) with no problem at all. Connection got slower by the end of the day so I'm assuming we had already used up the 500mb allowance for the day. Good thing our hotel had free WiFi so we just switched connection come night time. The CNY500 deposit via credit card was cancelled upon return. And I got a 'receipt' (credit card transaction printout) for it. Overall, this was a good decision for us since we had a DIY trip and had to use Google Maps all the time for all the walking we had to do. Thank you, Klook! I appreciate the efforts you made to address the concerns from previous reviews. Though the pick-up and drop-off locations didn’t have a Klook signage, it can easily be found. We didn’t had a problem with the pocket wifi the whole trip. Signal was always strong and battery life was really long. Highly recommended. Though the pick-up and drop-off locations didn’t have a Klook signage, it can easily be found. We didn’t had a problem with the pocket wifi the whole trip. Signal was always strong and battery life was really long. Highly recommended. Shirley wad wonderful. informative, fun, flexible and really helpful. Because we were a small group she tagged on the Temple of Heaven for us. She even helped guide us back to our hotels via subway! Thanks Shirley for a fun and memorable day. Shirley wad wonderful. informative, fun, flexible and really helpful. Because we were a small group she tagged on the Temple of Heaven for us. She even helped guide us back to our hotels via subway! Thanks Shirley for a fun and memorable day. Unit pick-up was a breeze. Grateful for an English-speaking personnel who gave brief instructions and showed us how to use the unit. A CNY 500 deposit was required but the same was promptly refunded after return. We were not charged additional for missing the deadline by almost an hour. Unit pick-up was a breeze. Grateful for an English-speaking personnel who gave brief instructions and showed us how to use the unit. A CNY 500 deposit was required but the same was promptly refunded after return. We were not charged additional for missing the deadline by almost an hour. The booth was 24 hours so no need to worry. We are connected anywhere! The booth was 24 hours so no need to worry. We are connected anywhere! Good connectivity in almost all places despite having no access to some social media but that has nothing to do with the mobile router. Used it both in Beijing and Tianjin. Good connectivity in almost all places despite having no access to some social media but that has nothing to do with the mobile router. Used it both in Beijing and Tianjin. Very useful and easy to use. Battery lasts all day. Can be used as a power bank. Very useful and easy to use. Battery lasts all day. Can be used as a power bank. Very easy to book. For pick up of the device just make sure you look for the pick up place after getting your luggage at baggage claim. The device worked without issue throughout different regions of China. To return the device make sure you look for the place immediately after you get through security check in Departures. Very easy to book. For pick up of the device just make sure you look for the pick up place after getting your luggage at baggage claim. 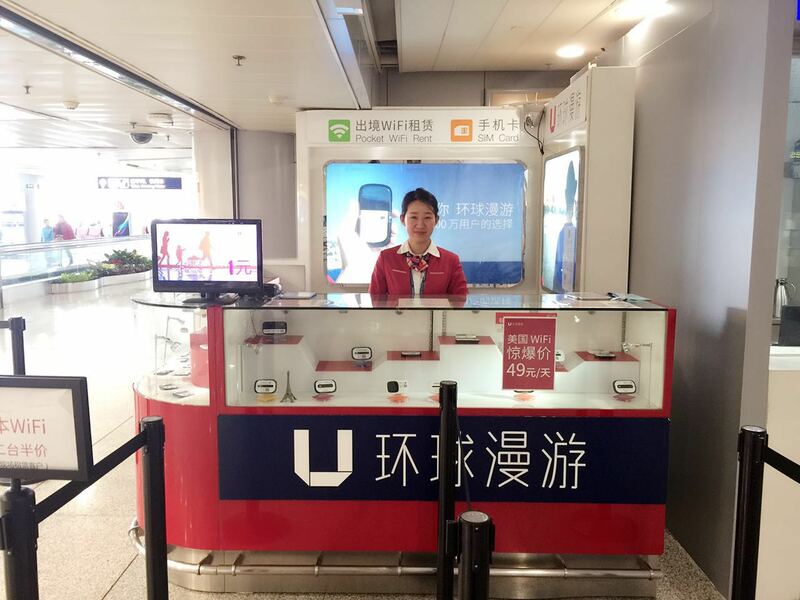 The device worked without issue throughout different regions of China. To return the device make sure you look for the place immediately after you get through security check in Departures. This is a must have item for travelling! Although you need to have vpn app since in mainland China they blocked a lot of website. But overall combine it this wifi, it makes your travelling a lot easier. This is a must have item for travelling! Although you need to have vpn app since in mainland China they blocked a lot of website. But overall combine it this wifi, it makes your travelling a lot easier.